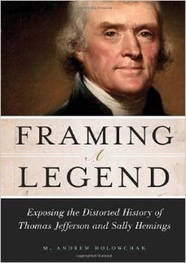 As a creature of history, we find, Jefferson deserves censure, not praise. Like numerous other Jeffersonian scholars, Ellis goes on to limn Jefferson’s moral maculae: his cowardice, as governor of Virginia, when British troops invaded Virginia; his expression of detestation of partisan politics while “covertly creating American’s first opposition party”; his craven rumors while Secretary of State of Washington’s senility; his lying about the hiring of scandalmongers to libel Adams in the campaign of 1800; his platform of thin government and practice of “far-reaching executive action,” exemplified by the Louisiana Purchase; his thoughtlessness in enacting an embargo that bankrupted the New England states; “his lavish lifestyle in which his wine cellar was always well stocked”; and his “record of complicity in [slavery’s] continuance and expansion” after 1784. There is finally his liaison with slave Sally Hemings—all but proven, it seems, given the consensus of historians. All such hypocrisy comes from the man who, at the age of 33, wrote the Declaration of Independence! Ellis’s précis of Jefferson’s many sins typifies much revisionist scholarship on Jefferson. That is unfortunate, for it is unfair. First, Ellis’s list of Jefferson’s sins provides no context for any of the presumed misdeeds, some genuine, and given that Time’s target audience is the general public, it smacks of slanted, perhaps even irresponsible, authorship. I offer three illustrations of lack of context. Concerning the Louisiana Purchase, Jefferson was well aware that the Constitution did not empower the executive to act on behalf of the nation. He writes to John Dickinson (9 Aug. 1803): “The general government has no powers but such as the constitution has given it; and it has not given it a power of holding foreign territory, & still less of incorporating it into the Union. An amendment of the Constitution seems necessary for this.” However, events—namely, rumor that Napoleon might change his mind about selling the territory—forced his hand, and Jefferson acted. Yet Jefferson acted for the sake of the nation, not because, as Ellis suggests, he was a power-hungry president. Jefferson continues to Dickinson, “[Acquisition of] Louisiana is appreciable, because, giving us the sole dominion of the Mississippi, it excludes those bickerings with foreign powers, which we know of a certainty would have put us at war with France immediately: and it secures to us the course of a peaceable nation.” Many of his severest Federalist critics acknowledged that they would have acted likewise. Then there is Jefferson’s embargo. On December 22, 1807, Thomas Jefferson signed into law the Embargo Act—a law that restricted American ships from engaging in foreign trade. Initially aiming to restrict importation of goods, supplements to the bill restricted also their exportation. On account of a British/American on-the-seas atrocity (the Chesapeake affair), Jefferson considered war, inaction, or an embargo as the only viable alternatives. He settled for an embargo. Motivations for the act were Jefferson’s repugnancy for war; the notion, shared by Madison, that Britain, starved by war with France, would suffer prodigiously from lack of American imported goods; the belief that restricting importation of useful British goods would force Americans to that amount of industry needed for self-sufficiency; and the impression that England and France, engaged in a lengthy war, would eventually debilitate each other, thereby allowing for American growth. The embargo harmed America much more than England, as Ellis noted. Jefferson would later reflect on that debacle in a letter to Henry Dearborn (16 July 1810). “I have ever been anxious to avoid a war with England, unless forced by a situation more losing than war itself. But I did believe we could coerce her to justice by peaceable means, and the Embargo, evaded as it was, proved it would have coerced her had it been honestly executed”—viz., had there been strictest compliance by New England states. Failure notwithstanding, in one respect, the embargo was a sensible response to atrocities suffered. Given the options of embargo, war, and inaction, it might have been the most reasonable, face-saving option of three unhappy alternatives, given public clamor for war. Inaction would have been a clear indication of Jefferson’s belief in American impotency. War might have proven American impotency. Finally, there is Jefferson’s avowed “lavish lifestyle,” shown by his well-stocked wine cellar. Though he adroitly managed the expenses of the Federal Government as president, Jefferson certainly spent money well beyond his means at Monticello. That much must be acknowledged, and for that he must be censured. (He always somewhat foolishly thought that property at any time could be liquidated to settle any debt.) Yet there is no evidence that Jefferson, especially on retirement, was intemperate, as Ellis wishes readers to infer. 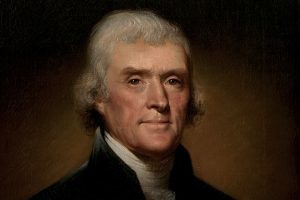 Writes overseer Edmund Bacon in his memoirs, “He was never a great eater, but what he did eat he wanted to be choice.” Jefferson ate mostly a vegetarian diet—“I have lived temperately, eating little animal food, and that not as an aliment, so much as a condiment for the vegetables, which constitute my principle diet” (TJ to Dr. Vine Utley, 21 Mar. 1819)—and drank little. Jefferson continues to Utley of his current drinking habits: “I double … the Doctor’s [Benjamin Rush’s] glass and a half of wine, and even treble it with a friend; but halve its effects by drinking the weak wines only. The ardent wines I cannot drink, nor do I use ardent spirits in any form.” So averse became he to strong drink later in life that he began to brew beer at Monticello (TJ to Col. Charles Yancy, 6 Jan. 1816). Jefferson’s “lavish lifestyle” is evidenced thus in the letter to Utley, “Whether I retire to bed early or late, I rise with the sun.” What then of the well-stocked wine cellar? It was mostly for visitors, who helped to eat and drink the retired and kindly president into considerable debt. “They were there at all times of the year” and “almost ate him out of house and home,” said Bacon. Consequently, the depiction of a schnockered, self-indulgent old man that Ellis’s wording suggests is untenable. 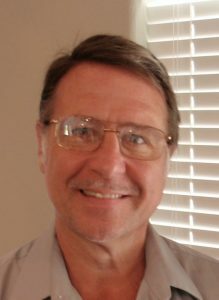 Second, beyond the problem of context when pointing out Jefferson’s flaws, Ellis says nothing about Jefferson’s virtues or achievements, and there is much to be said in praise of Jefferson. This lack of balance gives readers a much slanted depiction of the man and results in eccentric history. The effects of such historical eccentricity are perhaps decupled because Ellis’s piece is for a special issue of Time. His is the introductory essay in a collection of numerous short essays on Jefferson. In that regard, it sets the tone for what follows. Readers who are coming to learn about Jefferson for the first time will get a sense of the man as a foolish ne’er do well. A more balanced, nuanced approach—one that sets his virtues against his vices—is needed.